It can be very difficult to determine the fair value of an IPO. History would suggest that many IPOs are “under-priced’ and are likely to increase in value as soon as they trade on the market. 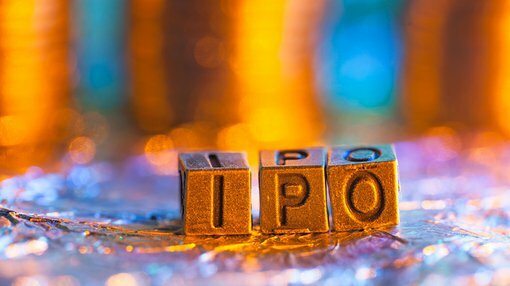 However, some IPOs fall and trade below their listing price, and as such, the “issue price” of an IPO, or the price that someone participating in the IPO would pay, is not necessarily the best determinant of value. There are many other ways to value an IPO however, with many valuation methods ranging from the incredibly simple, to the incredibly complex. Each method has its advantages and disadvantages, but it is worth keeping in mind that no extant model will consistently and accurately predict the fair value of a company. Rather, they provide a facility for comparing different share prices, as well as a gauge of the premium or discount that a stock is currently trading at, relative to its peers. It should be noted at this point that IPOs are very high risk and this article is not intended as investment advice. Please seek professional financial advice before making any investment decision in any IPO or the companies mentioned in this article. One of the most common ways of valuing a company is through a discounted cash flow (DCF) or discounted dividend model (DDM). These models are based mostly on the work of John Burr William’s “The Theory of Investment Value”, which holds that the present value of an investment is essentially the sum of future cash flows discounted to today’s value. There are several variations on the DCF and DDM models, but most of them rely on discounting the predicted cash flows for an explicit forecast period (often something like forecasting the next 5 years or cash flows or dividends). They will then determine a continuing value or terminal value, which is also discounted to a present value. These models rely on the assumption of constant variables. However, in the real world these variables are constantly changing. They also attempt to quantify a market that is based on the forces of supply and demand, which are in turn impacted by sentiment and psychology. Another way of judging the value of an IPO is to compare its price to earnings ratios to its peers. The two most common of these ratios are the PE (Price / Earnings) and the PEG (Price/Earnings/Growth) ratios. Investors often consider a lower PE or PEG ratio as indicating that a company is undervalued relative to its peers. Similarly, a high PE or PEG ratio is often interpreted to mean that a company is overvalued relative to its peers. These ratios are incredibly simple, which makes them easy to use, but it means that the ratios leave out many important factors in a company’s profitability and share price movements. Whilst valuation metrics can be useful in determining the relative value of a company, there can be no methodology that is unconditionally accurate. That is because unquantifiable market forces ultimately determine prices.